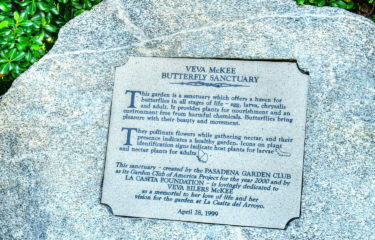 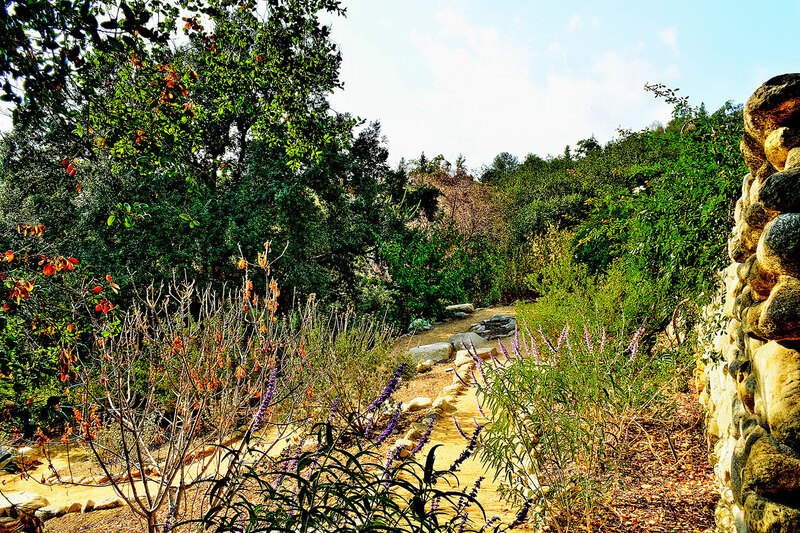 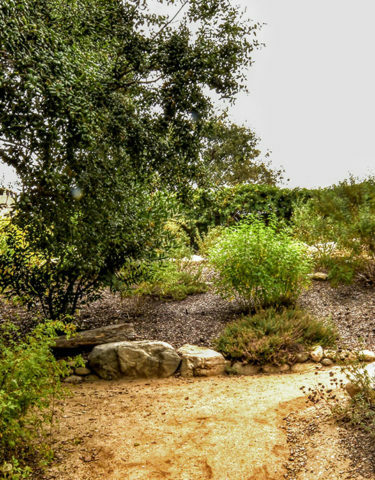 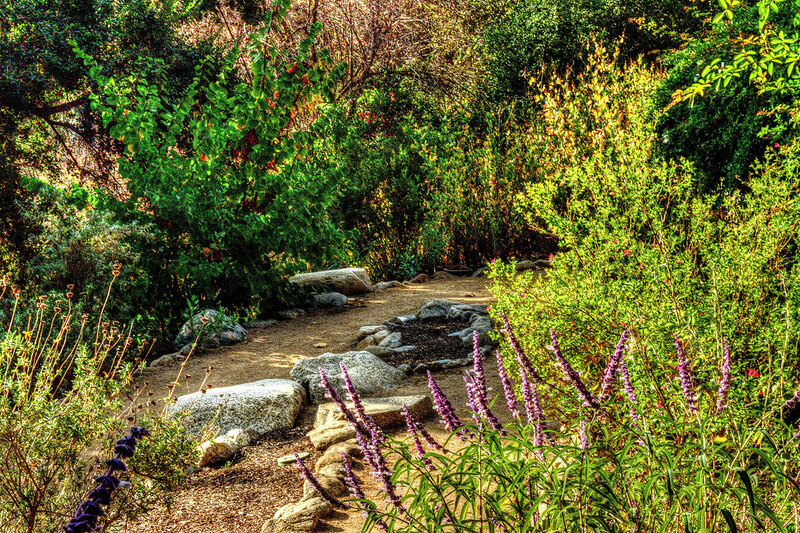 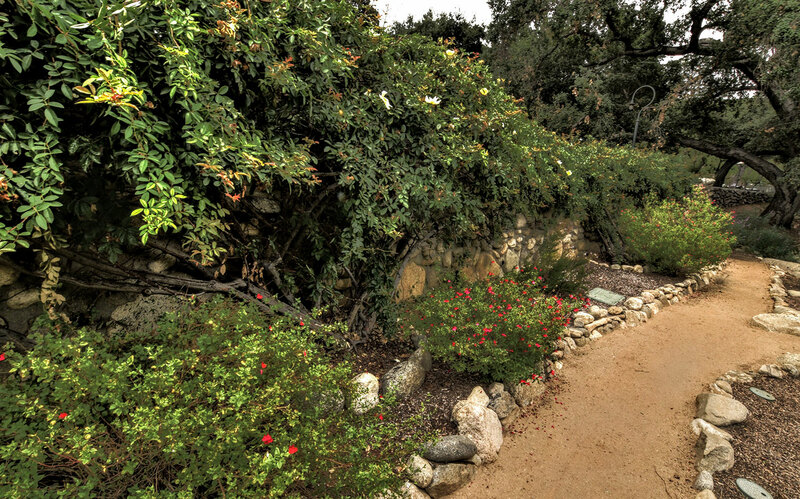 The Butterfly Sanctuary is located below the stone walls on the southern side of the property. 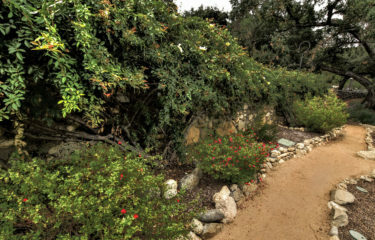 The staircase leads to a decomposed granite pathway that winds gently down into the Arroyo. 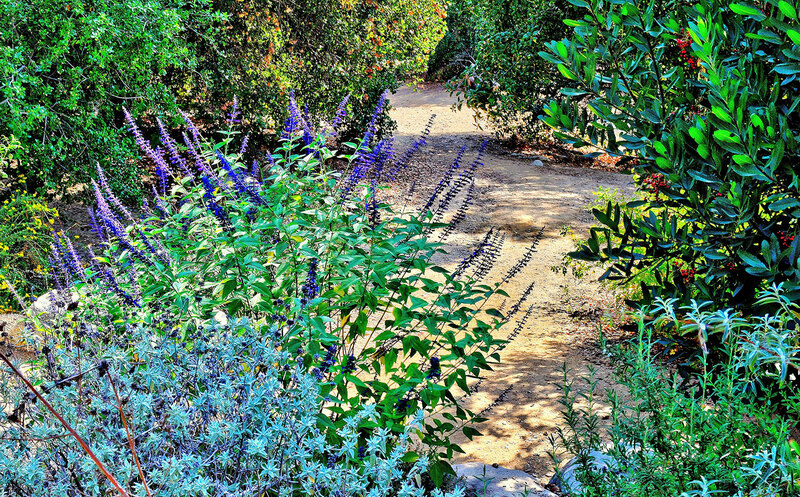 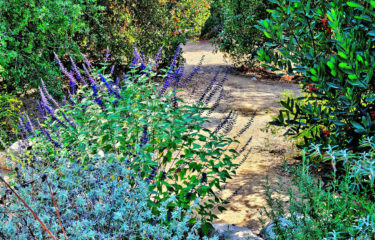 Plants in this garden are natives chosen to attract butterflies and other pollinators and include California redbud, sages, and salvias. 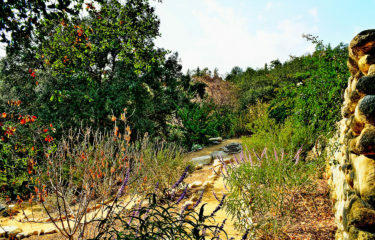 The distinctive milkweed or Asclepias plant with its bright yellow/orange flowers can be found dotted through the area. 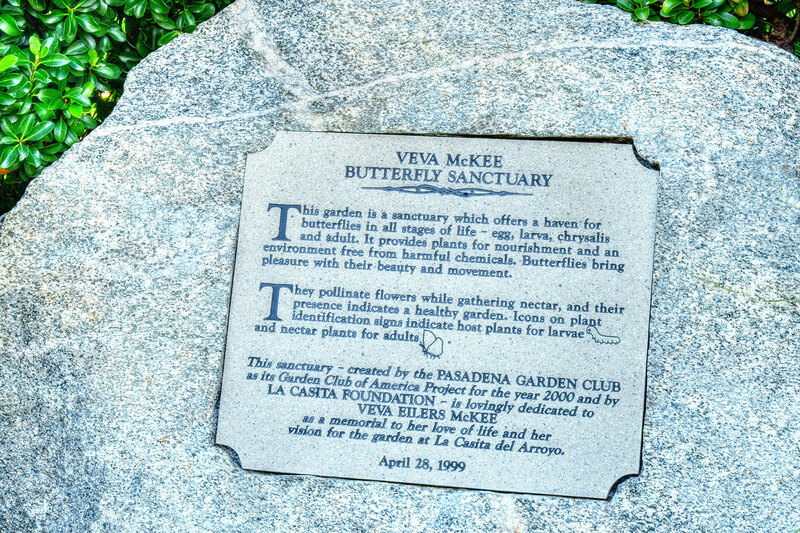 These are an important habitat for the Monarch butterfly as they migrate through Southern California.